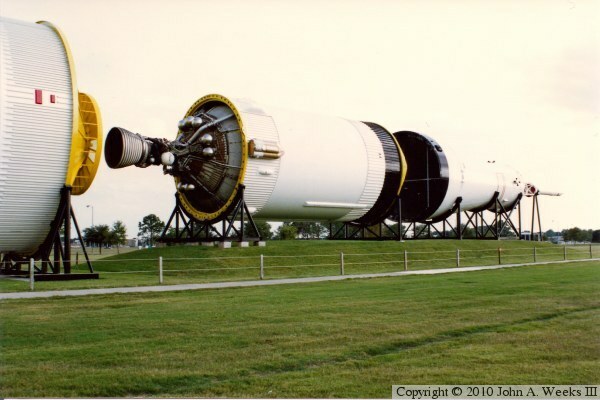 This is the 3rd stage from Saturn V vehicle SA-513 on display at the Johnson Space Center in Houston, Texas. Vehicle SA-513 was intended to be used on a late Apollo mission, but that mission was canceled. The first and second stages were later used to launch Skylab in 1973. Since the Skylab launch only used the first two rocket stages, the this third stage ended up being unused. It was put on display in the late 1970s, and restored and moved indoors in 2005. This photo is from 1990.